I wrote this poem in 2004 and just discovered again and felt compelled to share with you now. The photo is one I took last August while I was awaiting the birth of my granddaughter in Austria. It’s a spectacular and sacred view of Mondsee Lake. 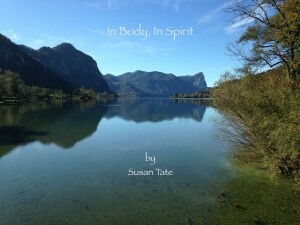 This entry was posted in Gratitude, Love, mind/body/spirit, wellness on April 22, 2015 by Susan Tate.